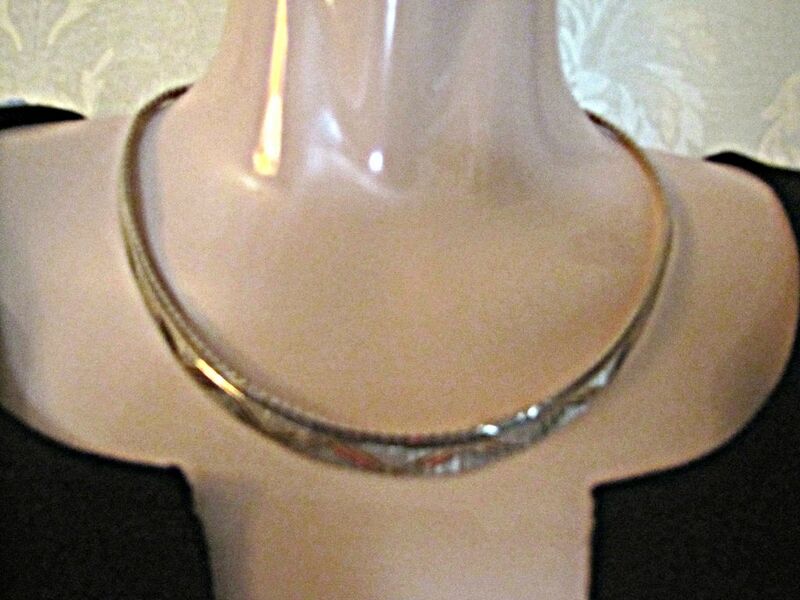 Beautiful, vintage, diamond cut, 925 sterling silver with gold overlay collar necklace. 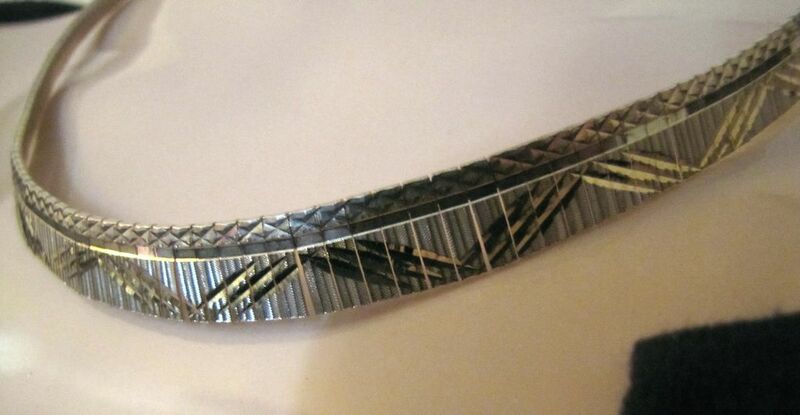 The necklace has a very intricate design with every area having various cut designs on it. 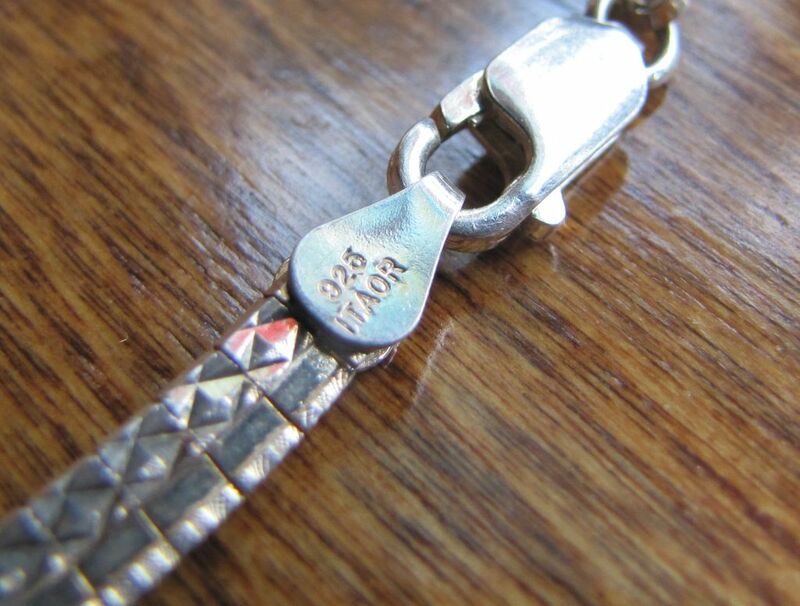 It measures 17 1/4" in length by by almost 1/2" long. 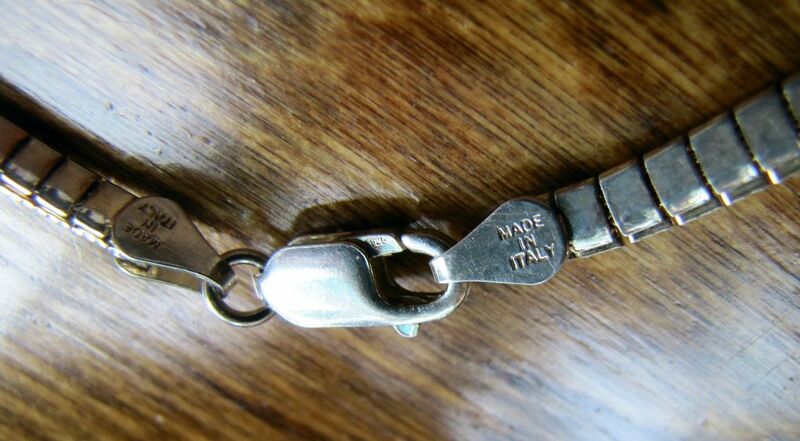 There are 4 marks on this necklace, two saying 925 ITAOR (the designer) and two marks reading Made in Italy. It is in good condition and a gorgeous piece.